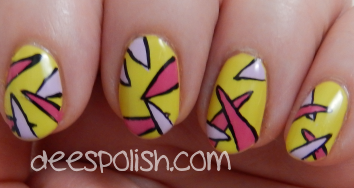 Ok, I like to toss the word 'rad' out there on the daily.. but these nails are legitimately rad. That is the only word that can be used to describe them. 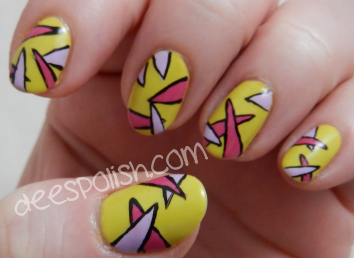 THESE nails are inspired by PamelaPomelo and then, once I was finished.. I was like 'hmm.. no.. these need something...' so I went with black outlines. I wanted to add dots, so I sent my sister a photo and said 'dots or am I done?' and she said I was done. I agreed. I am glad I decided to go with both of our instincts because greatness ensued. I know I am saying this rather early, but I predict these nails to be in my favourites for 2015. I love them sososososo much! Ugh. Honestly. I need to end the post here.. because I want to take off my polish right now and toss these bad boys back on. Must. Stay. Strong! Have a solid Monday, and I will see you all again soon! !